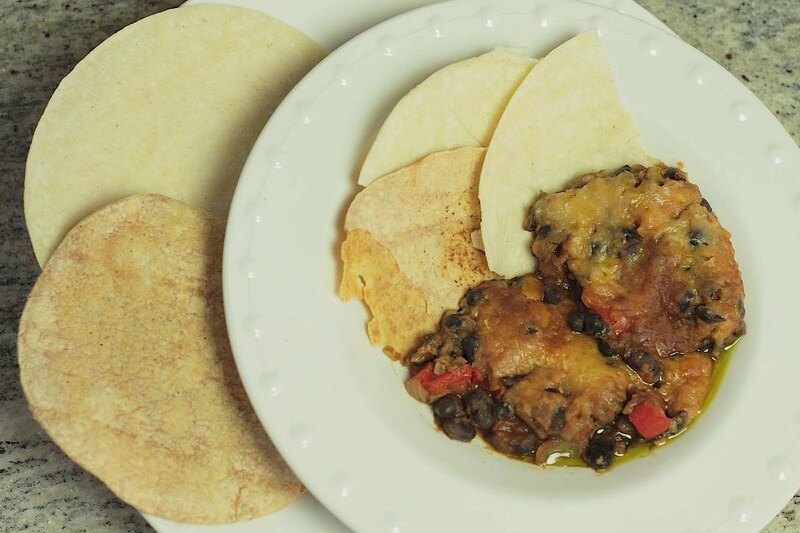 The Spicy Black Bean Casserole is a satisfying dish awakening all your senses as you smell the spice, crunch into the cheesy bread topping, and see the colors of the peppers, onion, and celery contrast with the darkness of the beans. It's a great comfort food dish to have with these wacky weather changes going on across the US this week. Try a meatless dish once a week. That's Vegetarian will provide an easy substitution and/or recipe for you to create the fantastic dish. Watch the video and download a printable version of the recipe. Prepare any one of the dishes and you'll find yourself saying "That's Vegetarian?!" Preheat oven to 350 degrees. Coat a 2½-quart casserole with non-stick spray and set aside. Place beans, tomato sauce, onions, celery, pepper, chili sauce, maple syrup, ginger and chili powder in a large bowl and mix well. Add additional chili sauce until desired heat is achieved. Spoon into casserole dish. Mix cheese(s), panko flakes, parsley, and red pepper together. 1. Cover with aluminum foil and bake for 45 min, or until the beans are tender. Take out of oven and sprinkle with the cheese topping and bake until cheese has melted, about 15 minutes. 2. Add the cheese topping, cover with aluminum foil and bake for 1 hour for a crustier cheese top. Serve with baked tortillas garnished with additional fresh cilantro. Thank you so much for this amazing recipe! My family and friends LOVE it! I have made it over a dozen times. Pls post more casserole recipes! Very good, but even though I halved the chili sauce it was still too spicy for my gang. Maybe I'll just put in a teaspoon next time.